Why am I so excited about Joe Solo coming to Thrive-abetes? I know that I am at risk of putting you all to sleep if I mention Friends for Life (FFL) UK again but I can’t stop talking about it. One of the best things that happened was bumping into my insulin pump trainer in the corridor at FFL. After the usual how are you doing, what the hell are you doing in the UK? She hits me with "Are you going to run a conference like this in Ireland (she really knows how I work:-) and have you met Joe?" I, of course, did not behave anything like a grown up would, but she insisted on introducing me and my friend, Christine to him. Within 60 seconds she had asked him if he would speak at our conference. It really pays to have good people in your corner!! Who the hell is this Joe fella? Myself and Christine had the pleasure of having him join us for lunch the next day. That was another fantastic thing about the FFL conference, everybody had lunch together, nobody sat alone, the healthcare professionals and families mixed socially. Anyway, we talked about how in my house I may be the one with diabetes but we all live with it. 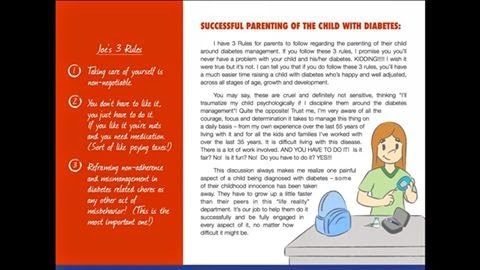 We talked about how children with diabetes do so much better with it emotionally when the family are a team. He even gave me a couple of pointers on how to perform my basal rate tests! Joe is Joe Solowiejczyk, it’s a name I can never repeat or remember how to spell. Thankfully, he has made it easier for the world to talk about him by shortening it to Joe Solo. Joe is a registered nurse, diabetes educator and family therapist. He’s worked with families with diabetes for decades and he has lived with type 1 diabetes for 50+ years himself. Joe works extensively with both patients and professionals on the Family-Approach to Diabetes Management. He works with paediatric patients and their families to help them cope with their child's diagnosis and daily challenge of living with diabetes. 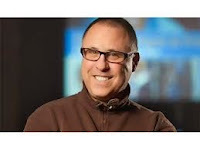 He designs educational and counselling programs for both children and adults with diabetes. His ebook "A Type 1 Guide to the Universe" introduces a new way to learn to thrive with diabetes. 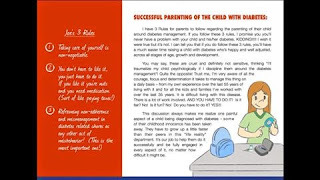 It is the first book to integrate the psychological and emotional aspects of dealing with diabetes into the core of its approach. Joe is scheduled to open our conference with a keynote presentation. Plus present "Staying Motivated to take care of you diabetes, every day" to our Type 1 Adults group and chair a panel of Parents of children with diabetes. I have included a couple of video links of Joe's talks on this link if you would like to know more about him. Newer PostAre you a Winner in our Thrive-abetes Raffle? Older PostLast chance to win!